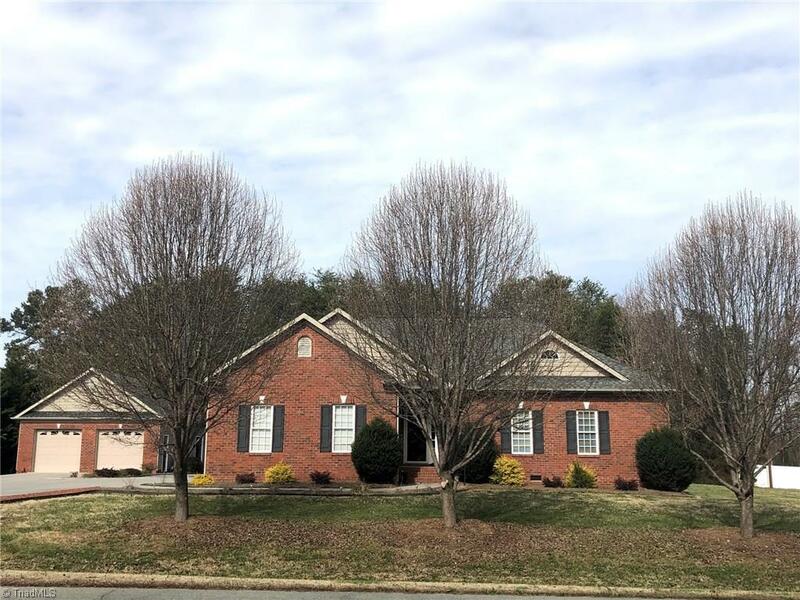 Beautiful one level living with Davidson County taxes. This brick home features an open concept living space, beautiful granite counters in kitchen, tray ceiling in master, and so much more. Attached 2 car garage with additional detached 2 car garage containing workspace and storage. All on approximately one acre of land. This beautifully maintained home and landscaping is a must see.